Phase is a common wave parameter used to describe the consequences of light–matter interaction. When the scattering center is smaller than the wavelength, a simplistic geometric interpretation of the measured phase is insufficient. Using energetic arguments, we show that the appropriate description of measurements performed far away from subwavelength objects involves the duration and the effective volume of the elastic scattering event. Because the evanescent fields contribute significantly to coupling and releasing of energy, the effective interaction volume is significantly larger than the physical size of subwavelength particles. Our results also provide means to describe scattering phenomena in dense media where scatterers are in close proximity to each other. 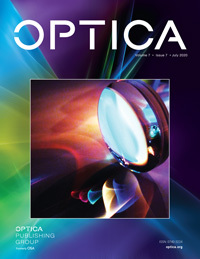 A. Sommerfeld, Optics. Lectures on Theoretical Physics (Academic, 1964), Vol. IV. M. Born and E. Wolf, Principles of Optics (Cambridge University, 1999). N. B. Sawyer, S. P. Morgan, M. G. Somekh, C. W. See, E. Astrakharchik-Farrimond, and B. Y. Shekunov, “Amplitude and phase microscopy for sizing of spherical particles,” Appl. Opt. 42, 4488–4498 (2003). E. P. Wigner, “Lower limit for the energy derivative of the scattering phase shift,” Phys. Rev. 98, 145–147 (1955). C. A. de Carvalho and H. M. Nussenzveig, “Time delay,” Phys. Rep. 364, 83–174 (2002). H. G. Winful, “Tunneling time, the Hartman effect, and superluminality: a proposed resolution of an old paradox,” Phys. Rep. 436, 1–69 (2006). B. T. Draine and P. J. Flatau, “Discrete-dipole approximation for scattering calculations,” J. Opt. Soc. Am. A 11, 1491–1499 (1994). R. Carminati, J. J. Greffet, C. Henkel, and J. M. Vigoureux, “Radiative and non-radiative decay of a single molecule close to a metallic nanoparticle,” Opt. Commun. 261, 368–375 (2006). D. N. Pattanayak and E. Wolf, “General form and a new interpretation of the Ewald-Oseen extinction theorem,” Opt. Commun. 6, 217–220 (1972). F. T. Smith, “Lifetime matrix in collision theory,” Phys. Rev. 118, 349–356 (1960). S. Rotter and S. Gigan, “Light fields in complex media: mesoscopic scattering meets wave control,” Rev. Mod. Phys. 89, 015005 (2017). M. I. Mishchenko and L. D. Travis, “Gustav Mie and the evolving discipline of electromagnetic scattering by particles,” Bull. Am. Meteorol. Soc. 89, 1853–1862 (2008). A. Lagendijk and B. A. Van Tiggelen, “Resonant multiple scattering of light,” Phys. Rep. 270, 143–215 (1996). J. Schäfer, S. C. Lee, and A. Kienle, “Calculation of the near fields for the scattering of electromagnetic waves by multiple infinite cylinders at perpendicular incidence,” J. Quantum Spectrosc. Radiat. Transfer 113, 2113–2123 (2012). J. Schäfer, “MatScat,” 2019, https://www.mathworks.com/matlabcentral/fileexchange/36831-matscat . A. Bott and W. Zdunkowski, “Electromagnetic energy within dielectric spheres,” J. Opt. Soc. Am. A 4, 1361–1365 (1987). M. Potenza and P. Milani, “Free nanoparticle characterization by optical scattered field analysis: opportunities and perspectives,” J. Nanopart. Res. 16, 2680 (2014). R. Rezvani Naraghi, S. Sukhov, J. J. Saenz, and A. Dogariu, “Near-field effects in mesoscopic light transport,” Phys. Rev. Lett. 115, 203903 (2015). R. Rezvani Naraghi and A. Dogariu, “Phase transitions in diffusion of light,” Phys. Rev. Lett. 117, 263901 (2016). P. M. Saulnier, M. P. Zinkin, and G. H. Watson, “Scatterer correlation effects on photon transport in dense random media,” Phys. Rev. B 42, 2621–2623 (1990). A. Ishimaru and Y. Kuga, “Attenuation constant of a coherent field in a dense distribution of particles,” J. Opt. Soc. Am. 72, 1317–1320 (1982). R. Shinde, G. Balgi, S. Richter, S. Banerjee, J. Reynolds, J. Pierce, and E. Sevick-Muraca, “Investigation of static structure factor in dense suspensions by use of multiply scattered light,” Appl. Opt. 38, 197–204 (1999). R. West, D. Gibbs, L. Tsang, and A. K. Fung, “Comparison of optical scattering experiments and the quasi-crystalline approximation for dense media,” J. Opt. Soc. Am. A 11, 1854–1858 (1994). P. C. Waterman, “Matrix formulation of electromagnetic scattering,” Proc. IEEE 53, 805–812 (1965). M. I. Mishchenko, L. D. Travis, and D. W. Mackowski, “T-matrix computations of light scattering by nonspherical particles: a review,” J. Quantum Spectrosc. Radiat. Transfer 55, 535–575 (1996). G. S. Agarwal, “Relation between Waterman’s extended boundary condition and the generalized extinction theorem,” Phys. Rev. D 14, 1168–1171 (1976). Fig. 1. Geometric delay Δ g and phase delay Δ ϕ as a function of size a of subwavelength particles ( k = 2 π / λ is the vacuum wavenumber). Also shown is time delay Δ d corresponding to dipolar scattering (see text). The inset shows the ratio Δ ϕ / Δ g evaluated over the range indicated by the green dashed line. Fig. 2. Scattering event describes the transformation between (a) initial and (b) final field configurations. The outcome of scattering is usually quantified after the wave has propagated in the far field, as indicated by the red dotted lines. Explaining how this transformation occurred requires a (c) near-field examination. Fig. 3. Interaction volume V defining the dwell time τ w . (a) Free-space propagation. (b) Scattering by a small particle. Fig. 4. Dwell time τ w as a function of size of the interaction volume for spherical particles of polystyrene (PS) and TiO 2 in air and with sizes as indicated. Fig. 5. Comparison between Δ ϕ and Δ w estimated for different sizes of the interaction volume l . The panels illustrate the case PS and TiO 2 particles of different sizes k a . Fig. 6. Volumes associated with the scattering event estimated based on the scattering cross section σ sc 3 / 2 (planar interception) and evaluated based on the scattering dwell time l opt 3 (volumetric interaction). Also shown is the physical volume a 3 of the subwavelength particle. Fig. 7. Deviations of measured transport mean free path l * from the values l ISA * estimated using ISA. Arrows indicate the threshold volume fractions for which the interaction volumes l opt 3 of neighboring particles will start to intersect. The experimental data are taken from different literature reports and correspond to (a) PS particles illuminated by 632.8 nm , (b) PS particles illuminated by 670 nm , and (c) Teflon particles illuminated by 632.8 nm . (2) τ w ≈ ∭ ( V ) ⟨ u ( r ) ⟩ d r 3 ϕ i ( − ) . (3) τ w ≈ ∭ cube ⟨ u ( r ) ⟩ d r 3 l 2 | S i | .